For many, cruising the Amazon, Galapagos Islands or Southeast Asia is top of their bucket list and the adventure of a lifetime. Half the adventure is the very fact that you are heading into the 'unknown' and will be exploring one of the most remote and undeveloped parts of the world. Given this uncertainty and remoteness, it's a great idea to prepare yourself as best you can, and that's where Rainforest Cruises, as South American and Southeast Asian travel destination experts, can help. Let us put your mind at ease and alleviate any concerns you may have with our comprehensive travel guides and downloadable guidebooks below. 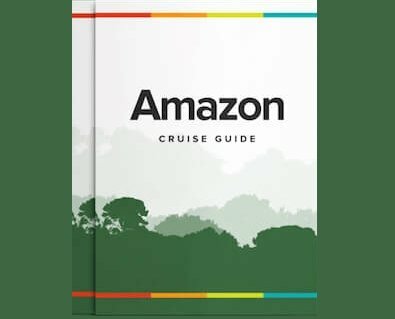 Our Amazon Travel Guides are a free resource designed to help familiarize travelers with important destination information before embarking on an Amazon River tour. The information may help adventure seekers enjoy the best of the Amazon. All guidebooks are printable and downloadable. A free resource to help travelers familiarize themselves with the undiscovered and emerging Southeast Asian destination, Myanmar. Our Myanmar (Burma) Travel Guides have information that may help adventure seekers enjoy the best of Myanmar, a relatively unknown country to tourists. All guidebooks are printable and downloadable. With so many Galapagos Islands in the archipelago to choose from, travelers often don't know where to begin when planning a trip to the Galapagos. Our Galapagos Travel Guides are a free resource designed to help familiarize travelers with important destination information before embarking on the big adventure. Disclaimer: Our travel guides and blogs are for informational purposes only. While we aim to provide accurate and up-to-date information, Rainforest Cruises makes no representations as to the accuracy or completeness of any information in our Guides or found by following any link on this site. This information is collected from and by participating companies and organizations, official authorities and Rainforest Cruises. Some data subject to change. Rainforest Cruises cannot and will not accept responsibility for any omissions or inaccuracies, or for any consequences arising therefrom, including any losses, injuries, or damages resulting from the display or use of this information.